This T-Shirt for gils print Yellow taxi City of New York City is 100% Certified Organic Cotton Jersey 155 g / 4.6 oz. This T-Shirt for gils print Poetic Paris is 100% Certified Organic Cotton Jersey 155 g / 4.6 oz. This T-Shirt for gils print Colored Owl is 100% Certified Organic Cotton Jersey 155 g / 4.6 oz. This T-Shirt for gils print Harry Painting is 100% Certified Organic Cotton Jersey 155 g / 4.6 oz. This T-Shirt for gils print Horses, wild Duelmener ponies, mare and foal is 100% Certified Organic Cotton Jersey 155 g / 4.6 oz. This T-Shirt for gils print Baby cat, cute kitten climbing is 100% Certified Organic Cotton Jersey 155 g / 4.6 oz. This T-Shirt for gils print Ginger kitten on a cliff is 100% Certified Organic Cotton Jersey 155 g / 4.6 oz. This T-Shirt for gils print Silver Unicorn is 100% Certified Organic Cotton Jersey 155 g / 4.6 oz. This T-Shirt for gils print Lego: One Direction 1D is 100% Certified Organic Cotton Jersey 155 g / 4.6 oz. This T-Shirt for gils print Outer Space Collection: One Direction 1D - Harry Styles is 100% Certified Organic Cotton Jersey 155 g / 4.6 oz. This T-Shirt for gils print Little Fairy is 100% Certified Organic Cotton Jersey 155 g / 4.6 oz. This T-Shirt for gils print Disney Hangover: Mulan feat. Tinkerbell is 100% Certified Organic Cotton Jersey 155 g / 4.6 oz. This T-Shirt for gils print Elsa Frozen is 100% Certified Organic Cotton Jersey 155 g / 4.6 oz. This T-Shirt for gils print Minions mashup One Direction 1D is 100% Certified Organic Cotton Jersey 155 g / 4.6 oz. This T-Shirt for gils print One Direction 1D Music Stars is 100% Certified Organic Cotton Jersey 155 g / 4.6 oz. This T-Shirt for gils print Horses Love Forever is 100% Certified Organic Cotton Jersey 155 g / 4.6 oz. This T-Shirt for gils print Angels Way is 100% Certified Organic Cotton Jersey 155 g / 4.6 oz. This T-Shirt for gils print The Last Black Unicorn is 100% Certified Organic Cotton Jersey 155 g / 4.6 oz. Discover on cPrestige an unique collection of T-Shirt Girl for childrens. What better way to please the younger fashion t-shirts, practical and easy to wear. At school, in college, but also for all daily trips, our t-shirts remain high more convenient and more comfortable for children and teens. 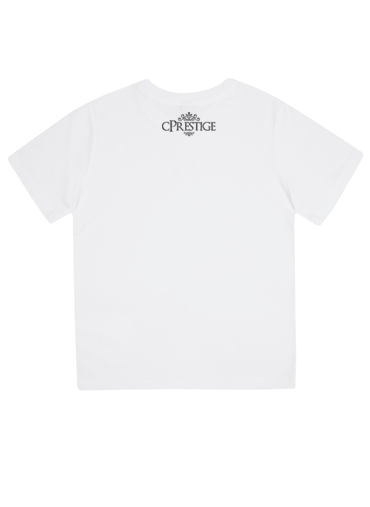 Whatever the season, they can, with a t-shirt cPrestige be casual but still fashionable as their buddies.